If you can already ski, even if you have just learnt to link turns, then there is no reason why you can't give alpine ski racing a go. The best place to try racing is at your local slope or club, or if you are lucky enough to go on an overseas ski holiday, you might get the chance to do a race in ski school. Joining your local ski club at a dry or indoor slope is probably your best starting point, and if you like it you can get involved in race training and club events, and then when you are ready enter some local or even national races. If you already have some race experience, and would be keen to learn about how you can get on the pathway towards training and eventually competing with a national squad, it might be worth looking at the Alpine Pathway. 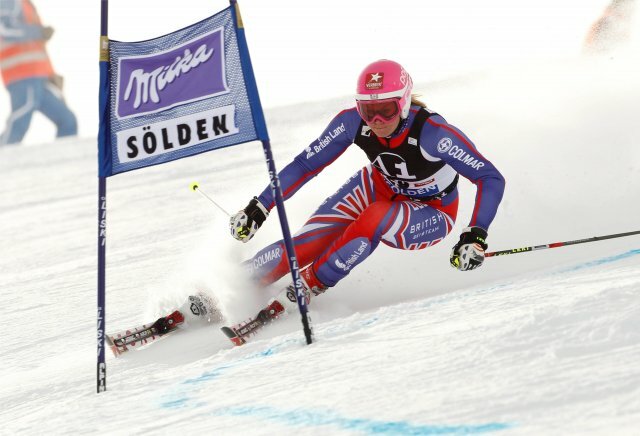 This outlines how you go from ski racing with your local club to becoming part of the Alpine Development Groups, and if you have the talent all the way through to skiing for Great Britain. If you are interested in going along to a local ski race, there is a busy calendar of UK races both in the winter and summer. Check out our Events Calendar for a listing of the major UK ski races or the GB Ski website for a comprehensive list of all UK ski races. To find your nearest race sessions, visit our easy Activity Finder or for your nearest slope and clubs go to our Slope Map.